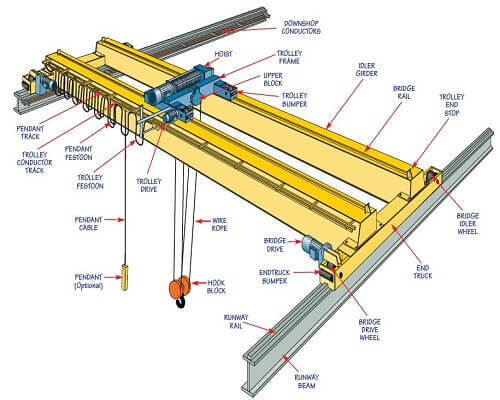 What are the safety and quality measures for the construction of the bridge erecting machine? The bridge erecting machine is the equipment to put the prefabricated beams on the prefabricated piers. 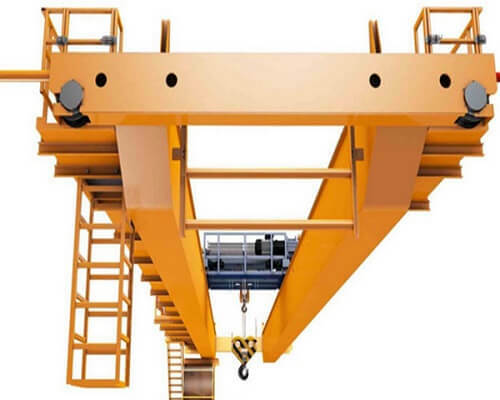 The bridge erecting machine belongs to the crane category because its main function is to lift the beam and then put it down after it is transported to the position. But it is very different from a crane in the general sense. The required conditions are harsh, and there is a walk on the beam or a longitudinal shift. The bridge erecting machine is divided into the construction of highway bridge, the conventional railway bridge, the passenger special railway bridge and so on. During construction, if there is heavy rain, heavy snow, heavy fog and five or more gale, we must stop moving and erect beams, and anchor the portal crane, bridge erector, and beam transporting flat car. After completing all operations and reaching the design strength, it can lift and move the beam. In the process of moving, transporting, storing and erecting, the fulcrum of T beam must be set up according to the design requirements, and there must be solid support on both sides of the beam ends. Door machine and bridge machine should have someone to command. The driver of the gantry machine and the driver of the bridge erecting machine should cooperate closely with the conductor, get the signal of the commanders and start the operation, and the bell should be ringing before the operation. 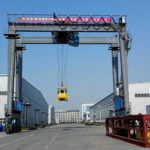 The door machine and bridge erecting machine must be maintained in strict accordance with the maintenance system in order to maintain their good running state. When the T beam is placed on the transport beam flat car, the deviation of the center line of the center of gravity and the longitudinacenterlinene of the flat car shall not exceed 2 centimeters, and the skew braces are tightened and the hand hoist is tightened. The T beam should be carried by a special person. And always check the steady state T beam Heian beam orbit. 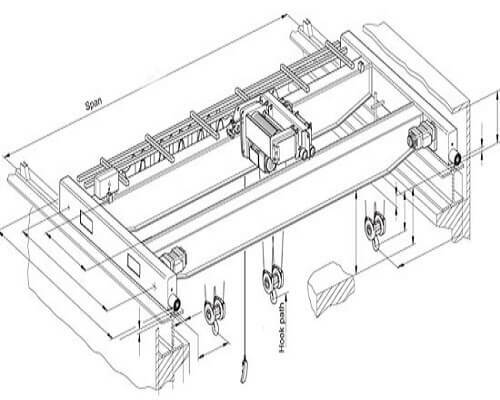 When the T girder is suspended from the front and back vehicles of the bridge erecting machine, the position of the bridge must be within 5 meters of the rear wheel, otherwise, the bridge erecting machine will be unbalanced. When the T beam is set up, the action of the bridge erecting machine should be low speed and smooth. High altitude workers must wear safety belts, wear safety helmets and wear antiskid shoes. 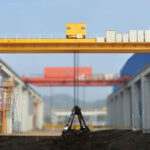 Before the beam is lifted, the performance of the lifting equipment and the transport of the beam should be confirmed. The lifting beam should be smooth and the difference between the two ends should not be greater than that of the 30cm. beam. At the same time, one end should be settled and then the other end. Confirmed by the beam bracing are braced, in addition to Party Kesong spreader. Deposit beam field should be set a solid beam seat deposit, should also improve the drainage facilities.in case of subsidence, it should be strengthened in time. The direction of the cross slide of the beam should be perpendicular to the unloading line. The sideways should be determined according to the pivot point of the beam, and the distance between the two sliders should be kept consistent. The sideways should have enough strength and stiffness. In the slip beam, the slide plate must be installed between the bottom of the beam and the sideways, and the two sides should have the protective support that can move with the beam. The two ends should be skidded synchronously when the beam is slipped. The skateboard should be guided. 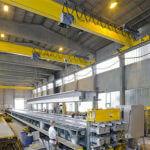 The height of the supporting pad on the bodies should be reduced to enhance the stability of the beams, but the convenience of installing the hangers in the hanging beam should also be taken into account. When a tractor is sent to the beam, the speed of walking must not exceed the command of a special person before and after the 500m/h. beam. When the beam car is in place, it should be a brake. The track subgrade should have enough width, flatness, and stiffness. The laying of the track should be straight and round. The gauge should be within the allowable error value. When the T beam is transported by a flat car, the steering pallet (or the turntable) support brake, etc., should be checked. The transport of T beams should be directed by a special person, and often check the stability of the components on the flat car and the deformation of the track flat car in operation. When the T beam is transported, the speed is slow, and the speed is controlled by the rope. When the slope of the longitudinal slope is large, the corresponding safety measures must be carried out so that it can be transported. The balancing of the bridge set, the balance stability of the cantilever and the equipment and equipment should be carried out according to the design requirements. Bridging machine in place, in order to maintain the stability of the pivot, using wooden support pad. At the front and back pivot points, the cable wind rope is also sealed on both sides of the top of the pier. When the component moves vertically and horizontally on the bridge erecting machine, it should be carried out gently. 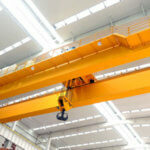 The operator of the hoist should coordinate the action according to the command signal. The bundled beam should be in accordance with the following rules: the beam position should be within the allowable range of the design at both ends of the beam. The amount of wire broken in any section of a kilo rope must not exceed 5% of the total root number of this section. 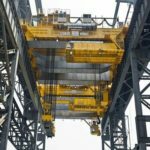 The rope should be fastened to the slots of the hanging point of the bridge erecting machine to prevent the pulling out or mutual pressure when the force is forced. At the corner contact of the rope and the bottom of the beam, the iron tile or rubber pad of the beam must be placed. When the beam is lifted, the 10~20cm should be raised first. After inspection and confirmation, the lifting should be continued. When the beam is near the top of the pier, it should be slow and steady. The beam position, should fall to fall after a fixed end, a movable end when the ends are supported brace, side Kesong hook. After the beam is in place, the beam is connected in time. Welding of T beam bearing and welding and concrete construction of diaphragm connection should conform to the safety regulations of electric welding machine and hoist. The safety belt, the helmet, and the antiskid shoes must be fastened at the high level. Unfinished matters, please strictly follow the technical specification for construction safety of highway engineering.